SUSAN JOY is a Newt design by Warren Jordan of Jordan Wood Boats of South Beach, Oregon. 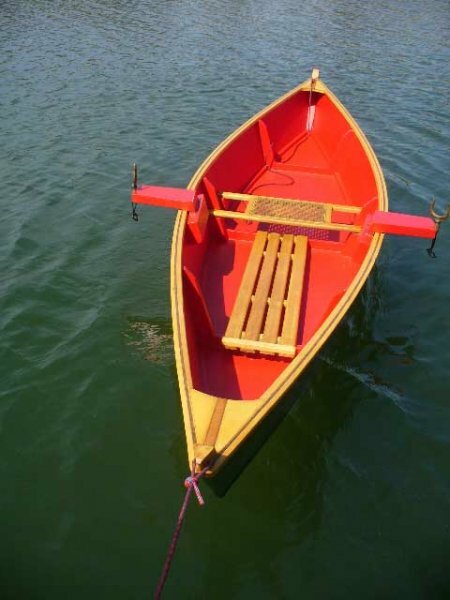 Carl Frey of Stamford, Connecticut, modified the 11'-design from a kayak to a rowboat by installing removable outriggers. The outriggers extend the beam of the boat from 29" to 42". He built SUSAN JOY over the winter and launched her on Easter Sunday, April 8, 2012, on the Goodwives River in Darien, Connecticut. 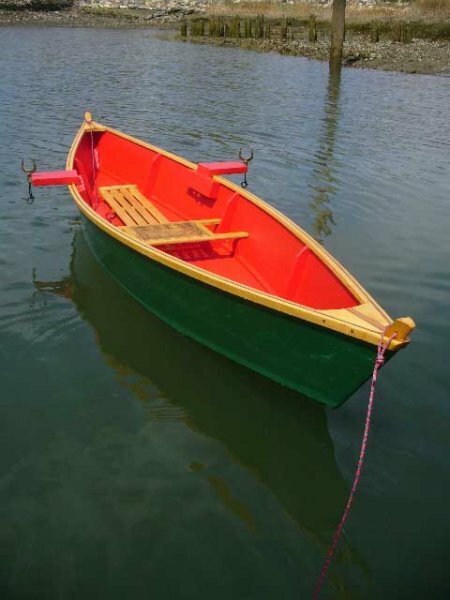 The boat is built from 1/4" marine plywood with spruce stems and rails. 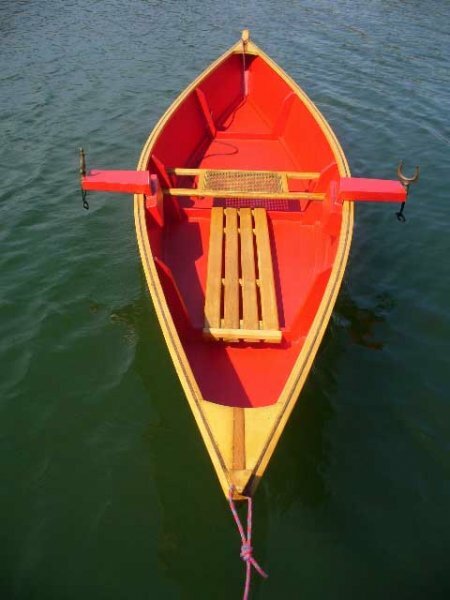 Carl bought the cane seat and the oars from Shaw & Tenney of Orono, Maine. He writes that SUSAN JOY weighs just 39 lbs. making it easy to carry her on top of his car.